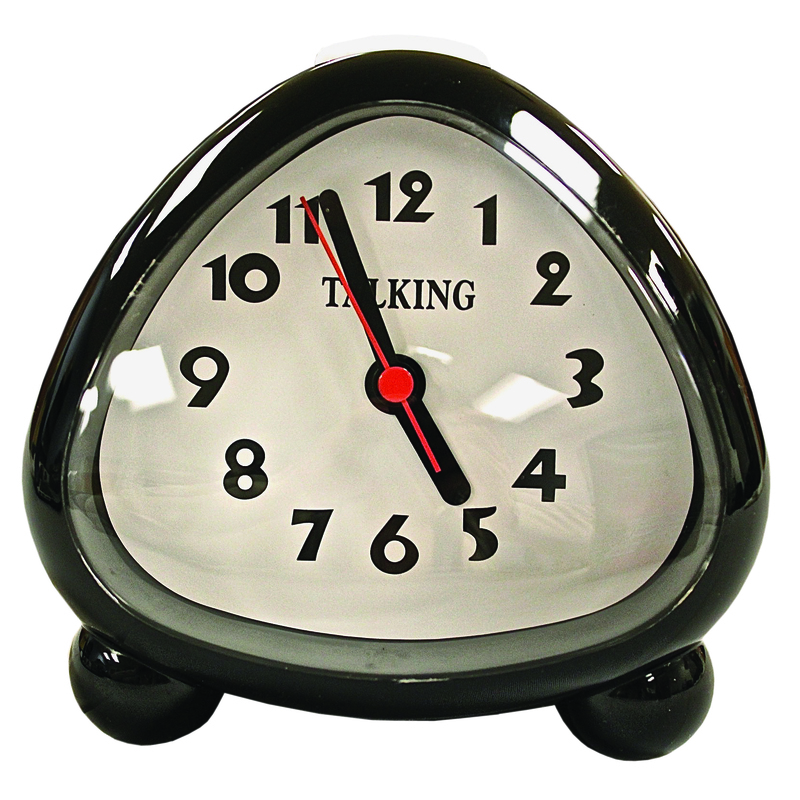 This petite, battery powered travel alarm clock has a talking function and both an audible and vibration alarm. It speaks all setting functions, plus time, day, date, month and year. Batteries: Uses two AAA batteries (not included).